Portland, OR, USA, June 29, 2018 — The IntelliCAD Technology Consortium (ITC) today announced the release of IntelliCAD 9.0. IntelliCAD 9.0 is a major release that includes many new features and improvements, including native support for opening, editing, and saving 2018 .dwg files. IntelliCAD 9.0 boosts performance in many areas, with the most noticeable increase in speed during file saves. Now only modifications need to be saved to .dwg files, which makes for extremely fast saving especially for large .dwg files that contain only a few changes. Also some lingering issues related to running IntelliCAD on the Fall Creators 2017 Microsoft® Windows® update were fixed. New features can be found in almost every area of IntelliCAD. View Mechanical entities, attach point cloud .rcp/.rcs files, and export to .pdf files using many more options than before. Draw construction lines. Draw and modify 3D meshes using the new Facet Modeler for lightweight 3D drawings. Use a camera to view drawings. Add columns to multiline text. Use new express tools for blocks, external references, text, and editing. Reset dimension text and reassociate dimension text. And much more. For versions of IntelliCAD that work with BIM files, users can now attach .rvt/.rfa files; snap to, explode, and control display for categories, stories, and views in attached .rvt/.rfa files; import .ifc files as architectural entities (in addition to attaching these file types as before); and draw AEC entities such as walls, windows, doors, openings, and slabs. For versions of IntelliCAD that open, save, and edit .dgn files in their native format, users can now create 3dPoly entities, linetypes, hatches, and images. New support is also included for properties, align, break, mirror, and more. The ITC developed many additions in-house, while some new features were donated in entirety by ITC member companies. IntelliCAD 9.0 is supported on Microsoft® Windows® 10, Windows 8, Windows 7, and Windows Vista®, including 32-bit and 64-bit versions. IntelliCAD Mobile versions are available for Windows desktop, Google Android, Apple macOS and iOS. 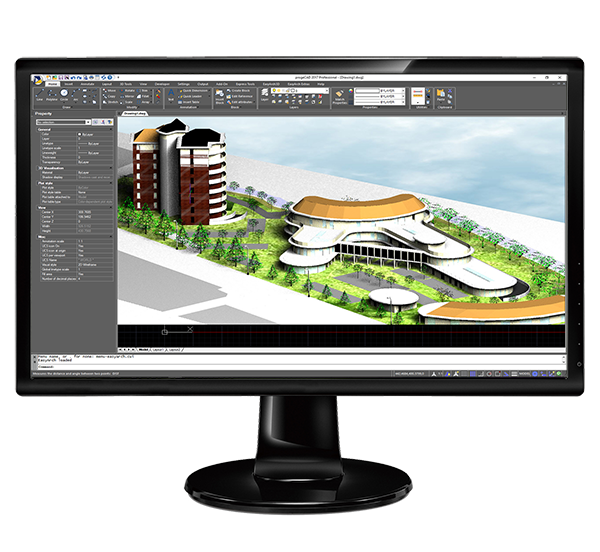 PROGECAD 2019 Professional is a major release from ITC member ProgeSOFT SA. Just a few of the new features: AUTOSEZ, SLOPE, AIDIMFLIPARROW, 3D PDF support, import and export to many new file formats, enhancements to point clouds, and much more. PROGECAD is a 2D/3D DWG/DXF-native CAD application based on the IntelliCAD engine. 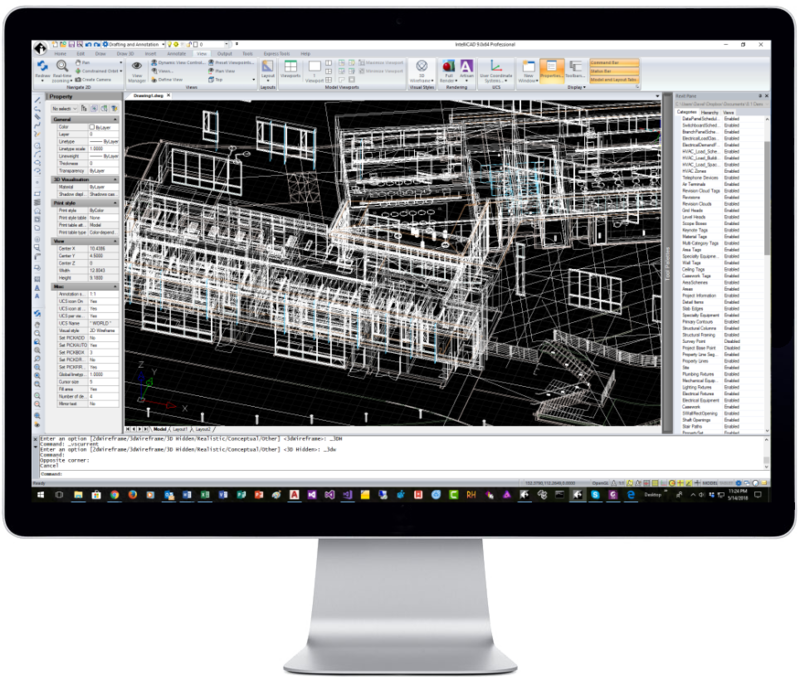 Its AEC, MCAD, and general CAD users benefit from native .dwg compatibility, a perpetual software license, and robust features for working with CAD drawings.